The show was a success for Team Heugly as our 6 competitors brought home 9 top 5 placings including Lani Tamaki’s first place victory in the figure short class. Lani also went on to win the Overall and her NGA pro card! 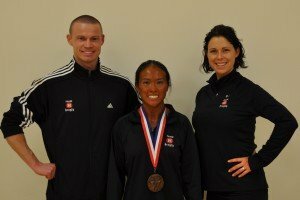 2011 NGA MOUNTAIN STATES Martha brought conditioning that was second to none! Kimberly’s second show! She looked fantastic! Lisa’s 3rd show of 2011. She brought home her 5th and 6th trophies of the year! Doug’s first show! 2 top 5 placings! Lilly’s first show! She placed top 5 in a fierce lineup! Lani won the figure short class and Overall for the second show in a row! 2 shows, 2 first places, 2 Overalls! 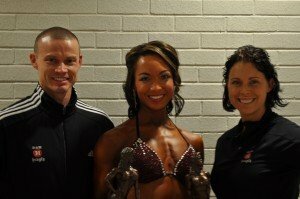 It was only her second figure competition! Way to go Lani!